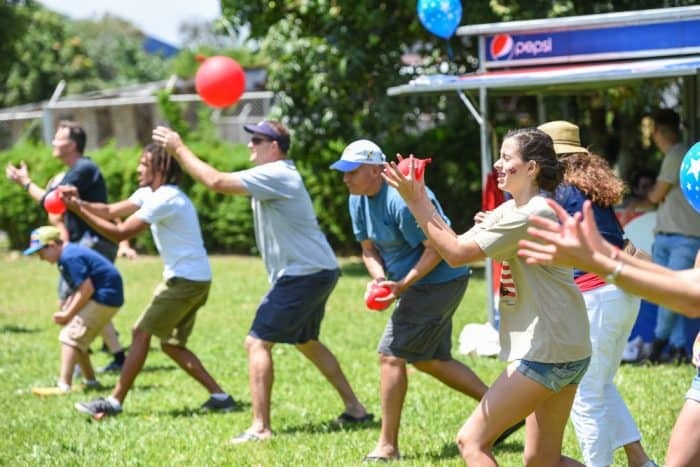 For one day out of the year U.S. citizens and their Tico friends and families have a reasonable excuse to pig out on hot dogs, drink beer before noon, and get in ultra-competitive water balloon fights. 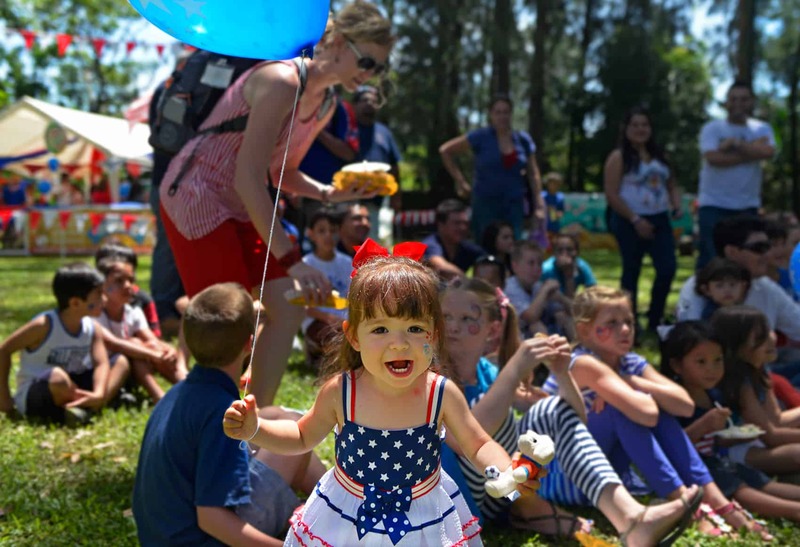 That day is soon approaching as the American Colony Committee hosts its 56th annual 4th of July picnic on Sunday. 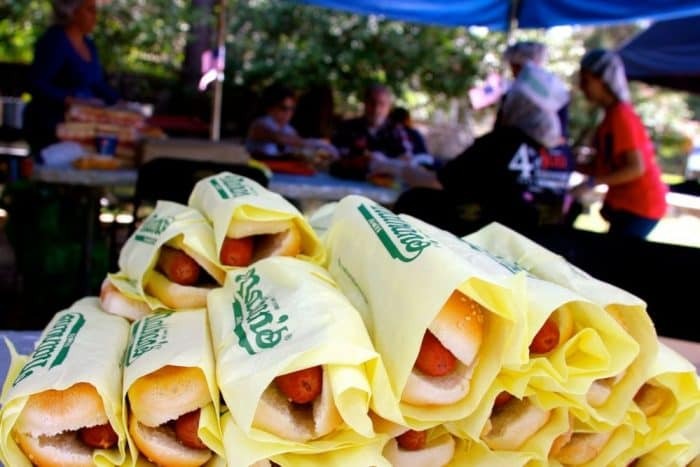 Though the party technically falls on the 3rd this year, there will be no shortage of Independence Day spirit on hand for this year’s picnic, which will include a litany of family activities and games, as well as hot dogs and domestic birra. The picnic will again be held at Cervecería Costa Rica in Alajuela just off the General Cañas Highway (see map for precise location). 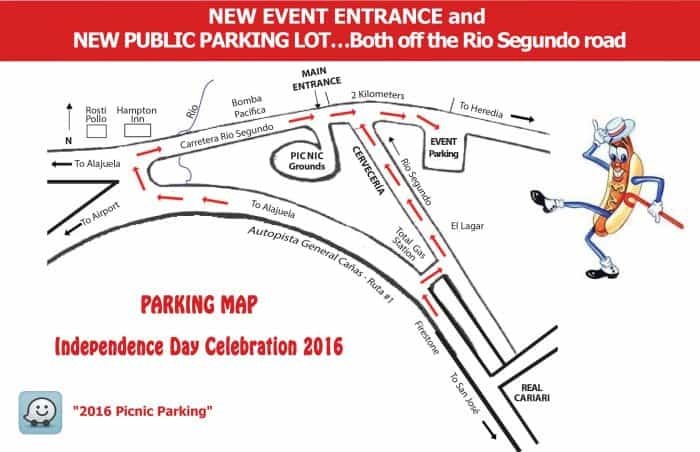 Event-goers can no longer park along the side of the road, but there will be safe parking off of the Río Segundo road with free shuttle bus service going to and from the entrance. Waze users can enter “2016 Picnic Parking” into the app for step-by-step directions, as well. 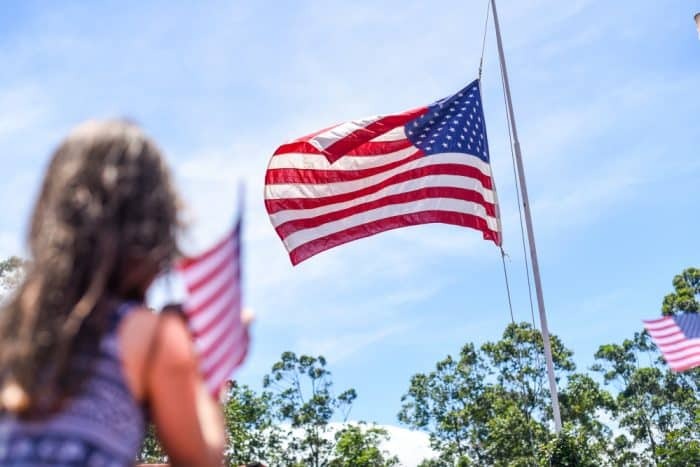 This year’s picnic is scheduled to run Sunday from 9 a.m. to 1 p.m, with the all-important flag raising ceremony happening at 11 a.m. There will be a post-picnic fireworks show at 6 p.m. on Avenida Escazú. ¡Zarpe! The picnic is open to all U.S. citizens and their immediate families. Each U.S. citizen is allowed to bring one Costa Rican friend. U.S. citizens must show their passports and Ticos must show their cédula at the entrance. A donation of ₡5,000, or $10, is collected at the entrance. All drinks, food, and games are included in the admission. Children 5 and under get in free. This year’s live music comes courtesy of the band CRC. On the dance floor, the Coffee Pickin’ Squares will also be keeping the crowd entertained with square dancing. Other activities include face painting, water balloon contests, volleyball and sack races. For more information, please visit the American Colony Committee website. And don’t forget to check out the event program!